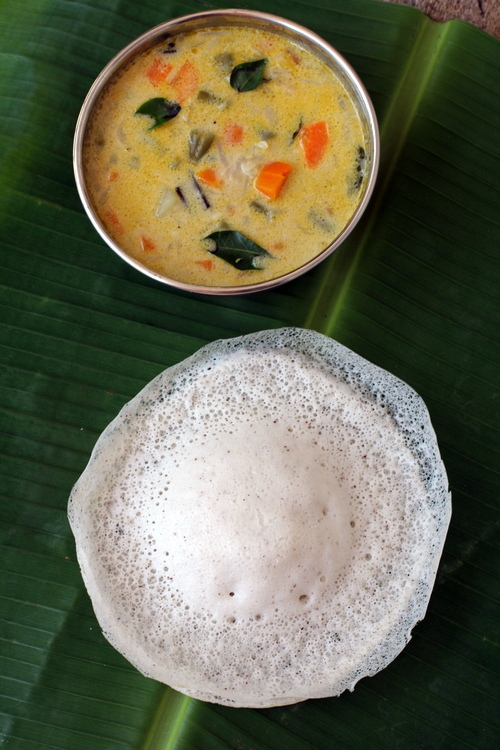 Vegetable stew aka ‘Ishtu’ is traditional Kerala style dish served with Appam. Minimal ingredients and the simplicity of the recipe is what wins you over. A delicately flavored stew where the spices do not over power the natural flavor of the vegetables. 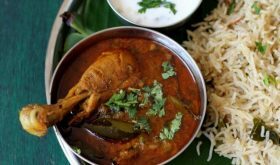 The addition of aromatic whole spices, ginger and fresh coconut milk enhance the natural flavor of the vegetables by leaps and bounds. 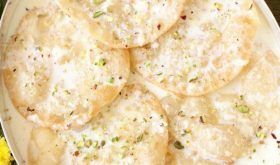 The crucial ingredient is fresh coconut milk which lends a sweet flavor that is perfectly balanced with the spice of crushed peppercorns. 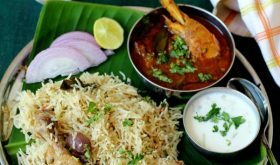 There are some subtle variations to the basic ‘ishtu’ recipe based on the regional preferences. Even the color of the stew varies from white to hues of turmeric yellow based on the ingredients that go into its making. 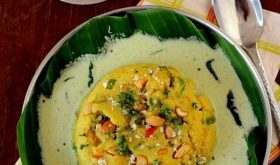 One of the best Kerala style vegetarian recipes that is healthy, easy to make and outright delicious. 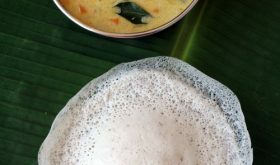 And when paired with Appam, it makes for a filling and wholesome breakfast. 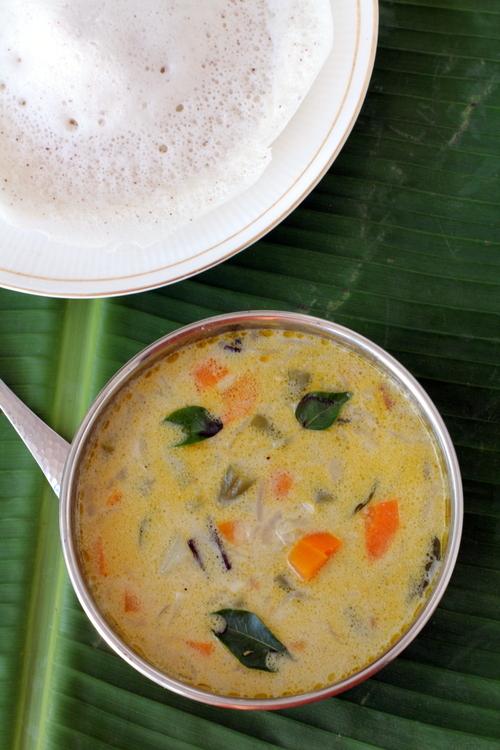 By Sailu Published: June 11, 2013 Vegetable Stew recipe is a healthy, easy and quick to make dish among Kerala recipes.This vegetarian dish is served with Appam, Kerala style white pancakes. I make similar stew. I use for poori. Yours looks good also I learned today how to make thin stew. Looks very similar to avial but I can see it’s a little different. Looks tempting. Turned out splendid! My first attempt at South Indian cooking, thanks Sailu! 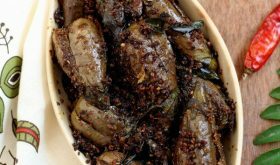 I follow a lot of your North Indian recipes too. Oh no where did the recipe go? Oh oh! Where is the recipe?